While looking out the window on drives to and from the eastern Sierras, I enjoyed the vast landscape between Mammoth Lakes and Los Angeles. 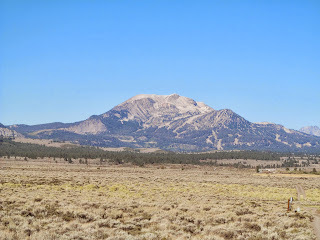 The view includes Mount Whitney, the tallest peak in the lower 48 states, lava flows, extinct volcanoes, desert and oases. As the drive went on, rolling by at highway speed, I started seeing glimpses of the water system that hydrates LA. Dennis has been driving between LA and the eastern Sierras for decades and pointed out aqueducts and reservoirs along the way. Jane Galbraith, a public information office at the Los Angeles Department of Water and Power (DWP), helped me decode the water system in the landscape, as did information on the DWP website. One of the main things I learned is that much of the system is visible from the car - - and more if you can get out and walk. 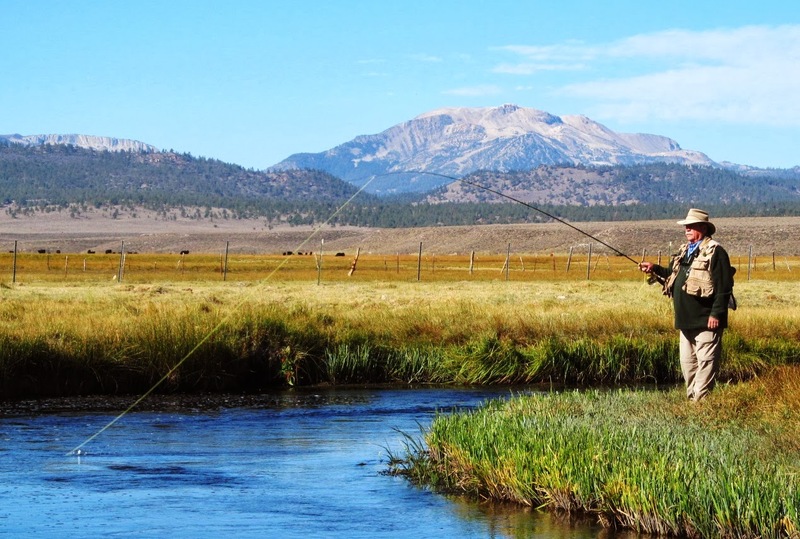 Much of LA’s water supply is surface and well water from the several thousand square mile Owens River watershed. The watershed’s western boundary includes: Mount Whitney; eastern Yosemite National Park and numerous Sierra peaks over 10,000 feet high. The Inyo Mountains on the eastern boundary have a bristlecone pine that is the oldest tree in the world. The Inyos and the Whites form the start of the basin and range country that stretches across Nevada and into Utah. 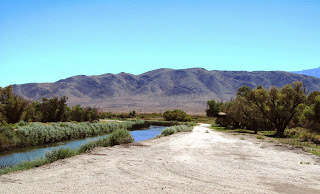 From the Owens valley, the DWP moves water nearly 400 miles south to LA, using the Owens River and an aqueduct system. The entire system is gravity fed, delivering water regardless of whether or not the power is on. Tuesday, November 5th, is the centennial of this system, whose planning, design and construction was managed by William Mulholland, an Irish immigrant who rose from ditch tender in 1878 to superintendent of the entire system. Mulholland was a larger than life figure, so much so that when Roman Polanski conceived the movie Chinatown, about water skullduggery in LA, he needed two characters to encompass Mulholland. There was Hollis Mulwray, the cerebral technocrat and brash, aggressive Noah Cross. Here are some of the sights from Mulholland’s wonder that you will see along the way. 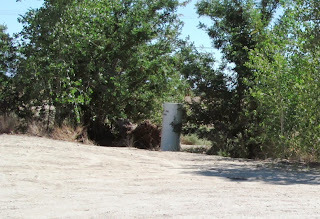 The Aqueduct: Route 395 crosses the LA Aqueduct in several places, such as north of Haiwee Lake and south of the village of Independence. At these locations, you can see the water rustling downstream to thirsty Angelenos. When looking at the Aqueduct, you may reflect, as I did, that something so small is serving so many people. Where the Aqueduct is not directly visible from the road, you can see its right of way on the hills to the west. The Owens River: Parts of the Owens are a natural aqueduct moving water to LA. 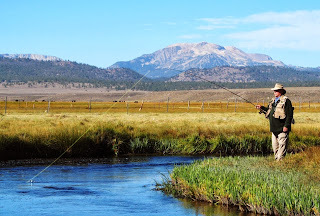 With steady flow in this part of the river, great trout fishing is available almost all year round. Owens Lake: When Mulholland opened the aqueduct in 1913, all the water flowing to Owens Lake went south instead. The Lake became a liability, with wind blowing the alkali soil high into the atmosphere and violating the Clean Air Act. To control the dust, DWP uses water releases to re-flood the lake bottom, irrigated vegetation and gravel coatings. Reservoirs: The water system has several large reservoirs throughout the watershed. 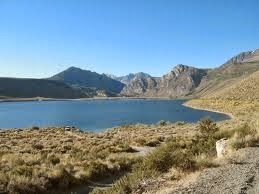 One of largest is Grant Lake, near Lee Vining. Seeing the water level in this reservoir so low was unsettling. Let’s hope for a nice snowy, rainy season to fill it up. Sluices and flow measuring gages: If you are on back roads and truck trails on the slopes of the eastern Sierras, you will see small sluices, with ponds behind them and antennae. You will also see flow measuring gages on creeks and ditches, about the size of a garbage can. The gages, part of the water system nerve center, help DWP determine how much water there is and where it is coming from. Visitor’s Centers: At the InteragencyVisitor’s Center on Route 395, one mile south of the village of Lone Pine, you can get information about the Owens valley and the surrounding mountains from DWP and Federal, State and local natural resource agencies. 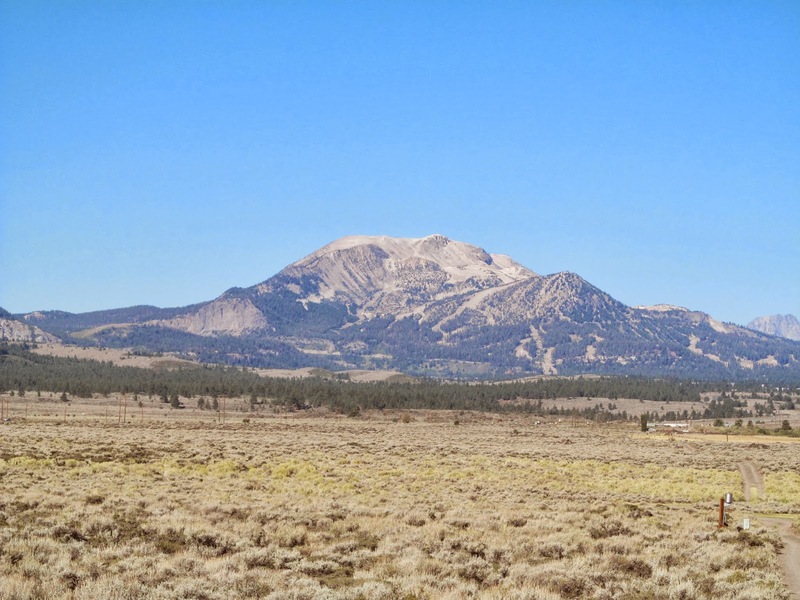 The MonoLake visitor’s center near Lee Vining has information about efforts to restore lake and stream levels in the Lake and its watershed. Seeing this complex water system in the midst of such grand nature is fascinating in its own right. The experience is also a landscape-size example of the dance, delicate at times, lead-footed at others, that people perform with the natural world.